Full Court of the Allahabad High Court on Wednesday upheld the constitutional validity of Section 14A (2) of the Scheduled Castes/Scheduled Tribes (Prevention of Atrocities) Amendment Act, 2015, which makes provision for an appeal from an order granting or refusing bail, even though such order is an interlocutory order, notwithstanding anything contained in sub­section (3) of Section 378 Cr.P.C. It, however, struck down second proviso to Section 14A (3) of Act as unconstitutional. The proviso barred appeals from the orders of such Special Courts and Executive Special Courts after the expiry of a period of 180 days. 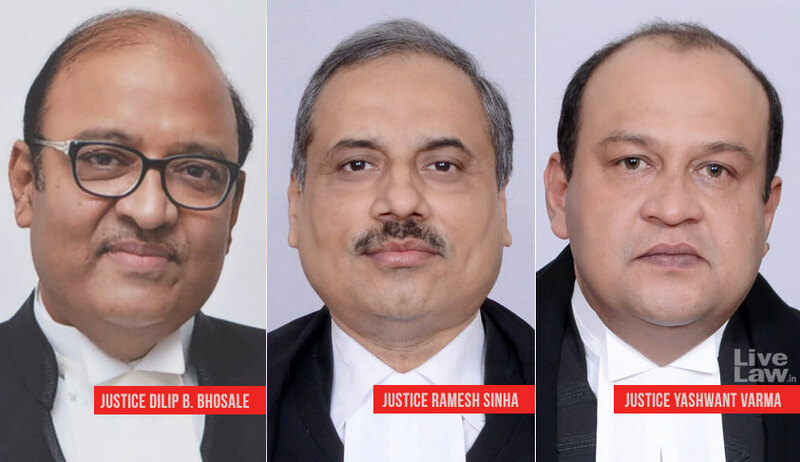 Additionally, the Bench comprising Chief Justice DB Bhosale, Justice Ramesh Sinha and Justice Yashwant Varma also noted that even though the Amending Act came into force on 26 January 2016, no Exclusive Special Courts have been established nor Special Courts designated till date. It therefore directed the State Government to initiate the consultative process under the provision and constitute and designate Exclusive Special Courts and Special Courts within a period of eight weeks. The court had taken suo motu cognizance of the validity of the two provisions, in view of the divergence of opinion between Single Benches of the court. Section 14A speaks about appeals from any judgment, sentence or order passed by a Special Court or an Exclusive Special Court to the High Court, both on facts and on law. The impugned sub-section (2) makes provision for an appeal from an order granting or refusing bail, even though such order is an interlocutory order, notwithstanding anything contained in sub­section (3) of Section 378 Cr.P.C. Thus, this is the only specie of interlocutory orders (i.e. granting or refusing bail) which is made appealable, and no other interlocutory order is appealable. Section 14A (3) provides for the limitation of 90 days for filing an appeal against a judgment, sentence or order, not being an interlocutory order. Second proviso to Section 14A (3) provides that no appeal shall be entertained after expiry of the period of 180 days. Section 14A therefore essentially creates an appellate forum at the level of the High Court to challenge any judgment, sentence or order, not being an interlocutory order, including an order refusing or granting bail. While prior to promulgation of the Amending Act, the concurrent power of the High Court under Section 439 Cr.P.C. was preserved, the said powers have now been substituted by creation of an appellate forum at the level of the High Court to consider all challenges against such orders. Whether provisions of sub­section (2) of Section 14­A and the second proviso to sub­ section (3) of Section 14­A of the Amending Act, are violative of Articles 14 and 21 of the Constitution, being unjust, unreasonable and arbitrary? While the court rejected the challenge to Section 14A(2), it declared the second proviso to Section 14A (3) as violative of Articles 14 and 21 of the Constitution, opining that it takes away the right of first appeal. Whether in view of the provisions contained in Section 14­A of the Amending Act, a petition under the provisions of Article 226/227 of the Constitution of India or a revision under Section 397 of the Code of Criminal Procedure (in short 'Cr.P.C.) or a petition under Section 482 Cr.P.C., is maintainable. OR in other words, whether by virtue of Section 14­A of the Amending Act, the powers of the High Court under Articles 226/227 of the Constitution or its revisional powers or the powers under Section 482 Cr.P.C. stand ousted? The court ruled that while the constitutional and inherent powers of the high courts are not “ousted” by Section 14A, they cannot be invoked in cases and situations where an appeal would lie under Section 14A. Insofar as the powers of the Court with respect to the revisional jurisdiction is concerned, it found that the provisions of Section 397 Cr.P.C. stand impliedly excluded by virtue of the special provisions made under Section 14A. Whether the amended provisions of Section 14­A would apply to offences or proceedings initiated or pending prior to 26 January 2016? The court held that the provisions of Section 14A would be applicable to all judgments, sentences or orders as well as orders granting or refusing bail passed or pronounced after 26 January, 2016. It further clarified that the introduction of the provision would not effect proceedings instituted or pending before the court provided they relate to a judgment, sentence or order passed prior to 26 January 2016. The applicability of the provision, it said, depends upon the date of commission of the offence, and that the determinative factor would be the date of the order of the Special Court or Exclusive Court. Whether upon the expiry of the period of limitation for filing of an appeal as specified in the second proviso to Section 14­A (3), Section 439 Cr.P.C. and the powers conferred on the High Court in terms thereof would stand revived? The court held that the powers conferred on the High Court under Section 439 Cr.P.C. do not stand revived. Whether the power to directly take cognizance of offences shall be exercisable by the existing Special Courts other than the Exclusive Special Courts or Special Courts to be specified under the amended Section 14? The court noted that existing Special Courts do not have the jurisdiction to directly take cognizance of offences under the 1989 Act and that only Exclusive Special Courts to be established or the Special Courts to be specified in terms of the substituted section 14 have such power. It, however, clarified that the substitution of Section 14 by the Amending Act does not have the effect of denuding the existing Special Courts of the authority to exercise jurisdiction in respect of proceedings under the 1989 Act. “They would merely not have the power to directly take cognizance of offences and would be bound by the rigours of Section 193 Cr.P.C. Even if cognizance has been taken by the existing Special Courts directly in light of the uncertainty which prevailed, this would not ipso facto render the proceedings void ab initio. Ultimately it would be for the objector to establish serious prejudice or a miscarriage of justice,” it explained.